While people around the world love the spice Coriander (Cilantro, Coriandrum sativum) as a flavorful addition to their meals, the benefits provided by this powerful herb in essential oil form are profound. Therapeutic grade Coriander essential oil is an organic chelator of toxic metals and provides important anti-microbial effects. This wonderful essential oil is also known to lower blood glucose levels by stimulation of insulin secretion. The two articles mentioned below demonstrate this significant health affect. In summary, high blood glucose levels, unwanted microbes and toxic metal overload are linked to health challenges such as cancer, heart disease, brain deterioration, emotional problems, kidney disease, pancreatic dysfunction, lung disease, and bone deterioration. 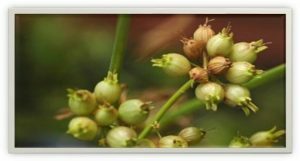 This knowledge makes therapeutic grade Coriander oil an important essential oil for daily use. Several drops of therapeutic grade Coriander oil placed under our tongue or within a veggie capsule as an oral supplement, two to three times daily, provides many powerful benefits for healthy longevity! As a Certified Aromatherapist, Wellness and Health Coach I provide powerful health strategies for creating robust life extension. Call today (407) 6282176 or email me here: mhamel1@embarqmail.com for your free 20 minute wellness consultation with Michelle, Your Health Detective. Consulting with a Certified Health and Wellness Coach is very important. A wellness coach trained as a Certified Aromatherapist guides you with your health plan. Your coach provides you with the knowledge to successfully utilize the essential oils and to positively change the course of your health. A Certified Aromatherapist ensures you obtain only pure therapeutic grade essential oils, eliminating the dangers of obtaining essential oils with chemical solvents and other toxins. Additionally, the essential oils you are purchasing must contain the necessary constituent compounds to enable powerful health results. Copyright © 2017 Neuromuscular Pain Relief Center, Inc. This information is not intended to treat, diagnose or prescribe. It is for informational purposes only. Always consult with your doctor before beginning a new healthy lifestyle protocol.